You can add a wood plaque to any order and fish species. All Wood plaques comes with a FREE Engraved Plate. 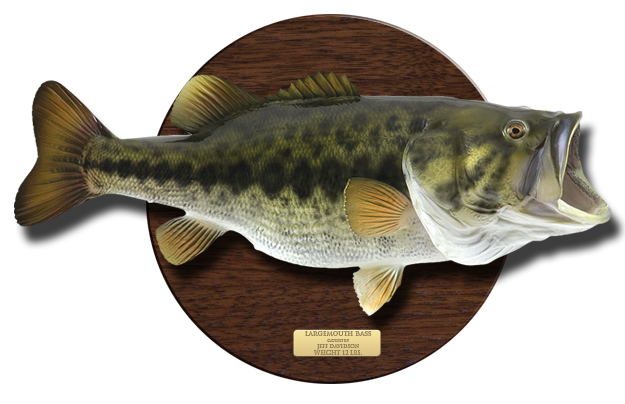 A wood plaque is a great addition to any fish mount and will add an elegant look to your mount and trophy wall. These wood plaques come "ready to hang" and are made of beautiful dark wood with a polished finish for a very exclusive look. Each plaque also comes with free personalized engraved plate where you can indicate the name of the angler, fish species, catch location and date etc. The check out process is easy, but if you rather speak with us directly to place your order, or if you don't find the size or type of fish that you are looking for. Please Note: Wood Plaques shape and pricing are based on the overall length of the fish. For information or to order, simply call (954) 942-1417 or email us at sales@globalfishmounts.com.